Small town performance, big city backstage. 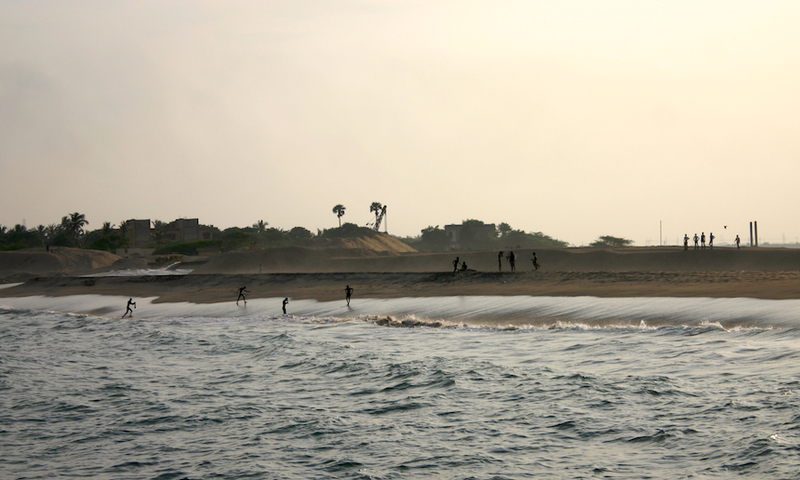 Home to the Ennore Port and the North Chennai Thermal Power Station, one can be forgiven for writing off the Ennore Creek as an industrial dump yard. Indeed, that appears to be the creek’s primary purpose. 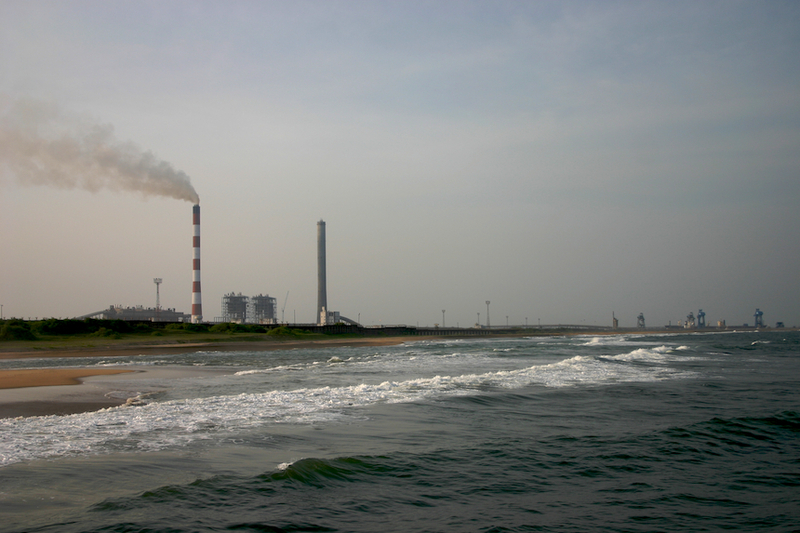 Ennore Port pales in comparison to the larger, older and more intimidating Chennai Port, while the tall smoke belching exhausts of the power plant do not exactly make for the most inspiring of seascapes. Feels as if the place was quite deliberately relegated to the northern-most extremes of the city. While a place such as this might carry a certain desolate charm of it’s own, there’s much joy to be found and had at this particular edge of Madras. This big picture is just that, a big picture. We’re yet to get up close. Interesting! This is what I love. Documenting the unknown. The above shot is quite interesting as well. It looks like a shot from a computer game, if it wasn’t was the sea. Gives a nice amalgamation kind of effect. I love this, especially the tiny sharp silhouettes. Awesome! Look great. Did you go in the water to take these snaps? This is unreal. I can see the hands of those tiny men! I like the one standing in the centre with his hands on his hips. How come all of them look so skinny? Did you go in the water to take these snaps? Sort of. I took these standing on the vanishing pier. @Vega: Look like stick figures heading into a rural painting or an xkcd comic, don’t they? I’m guessing it’s the wet clothing.